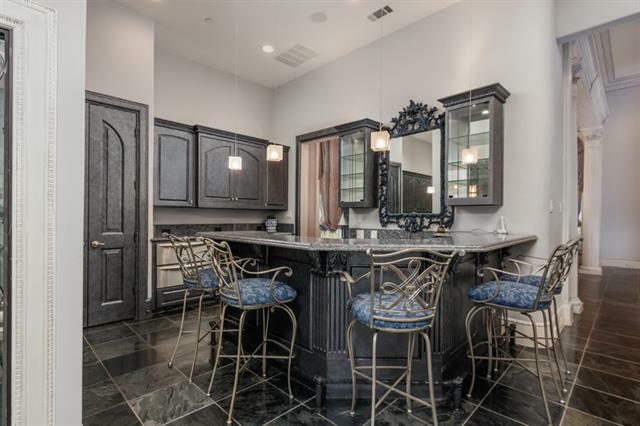 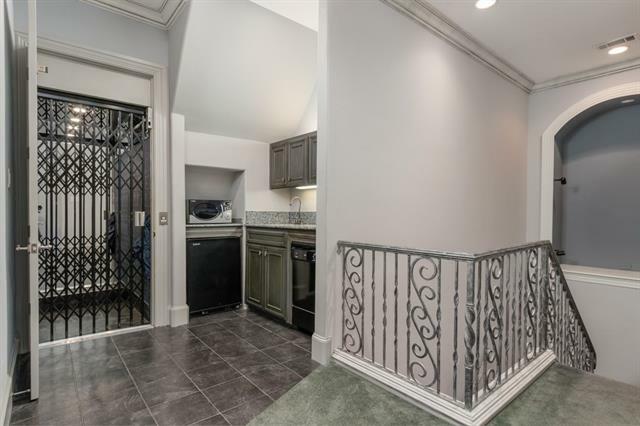 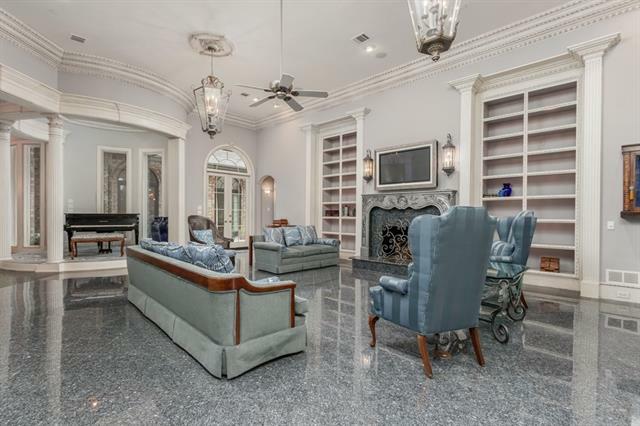 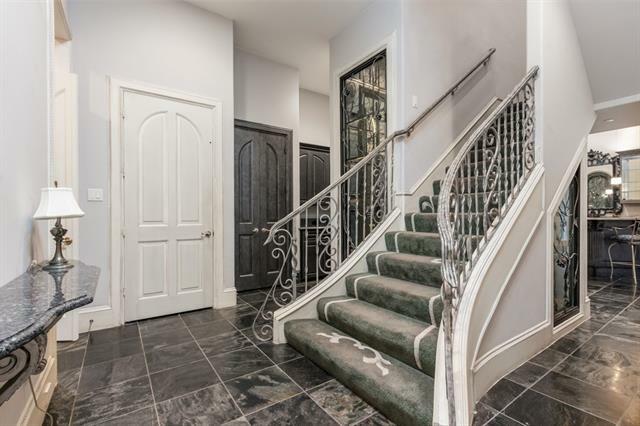 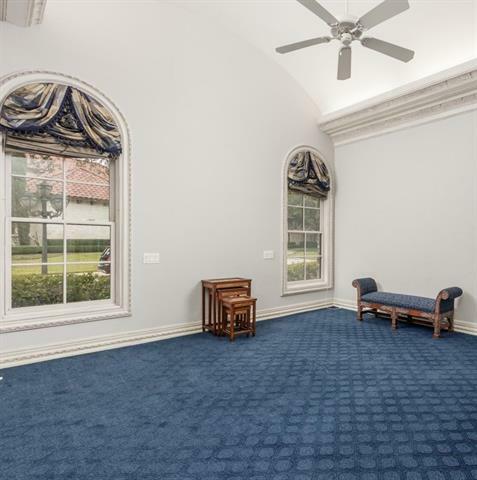 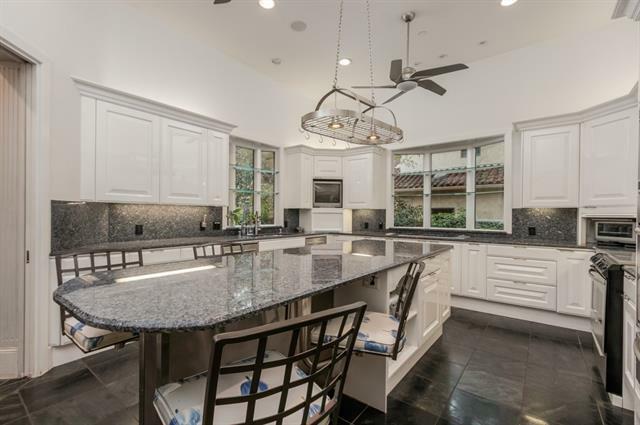 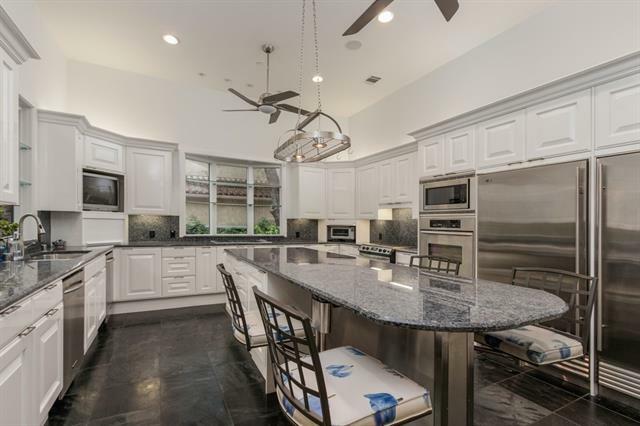 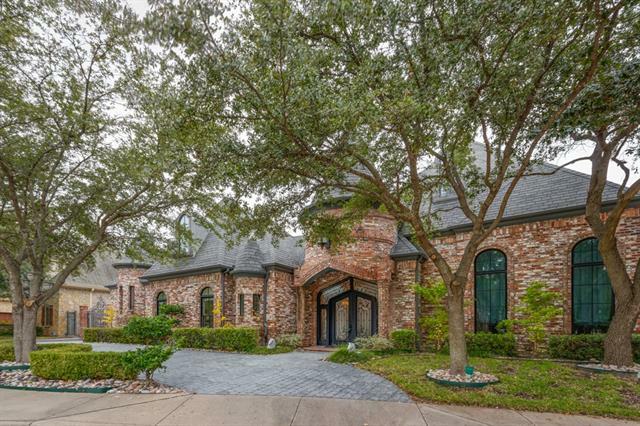 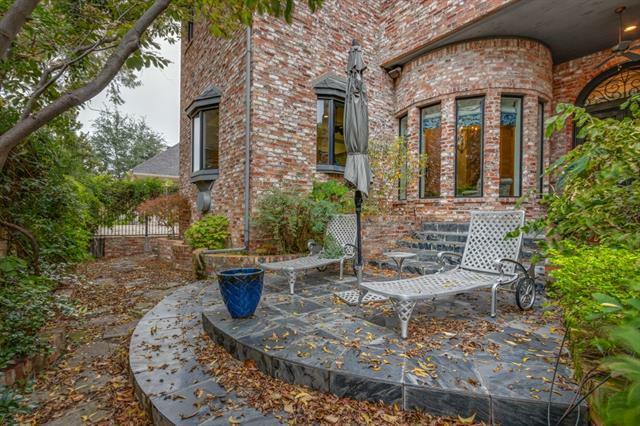 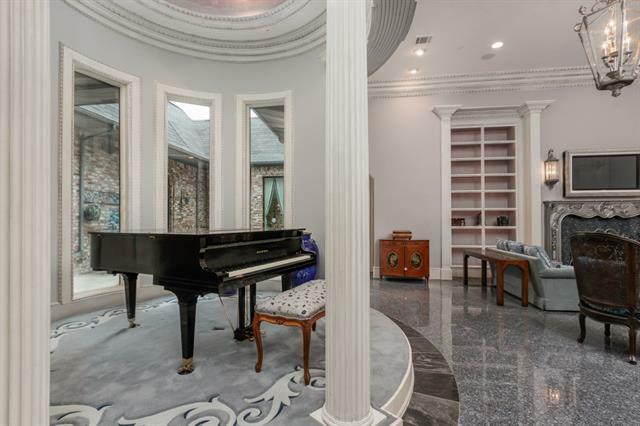 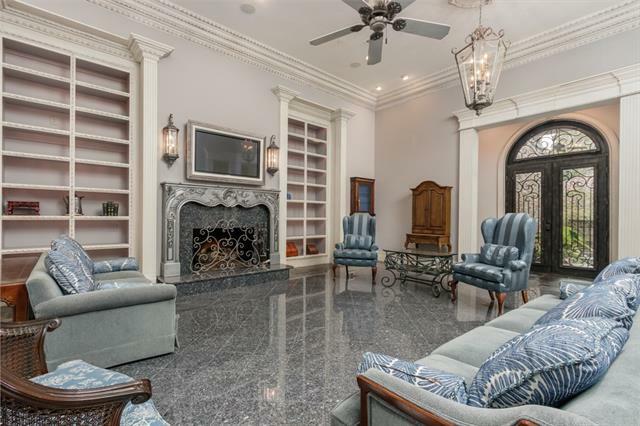 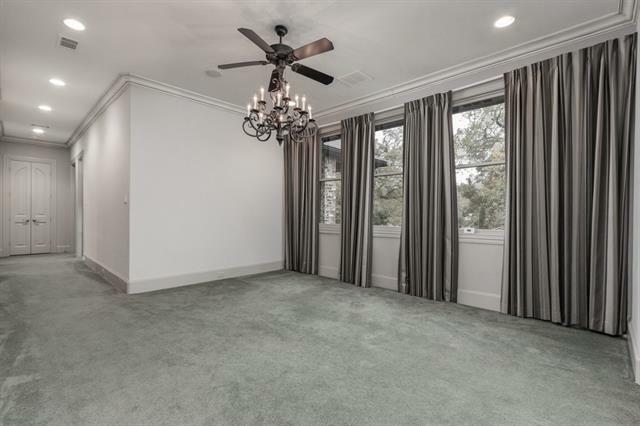 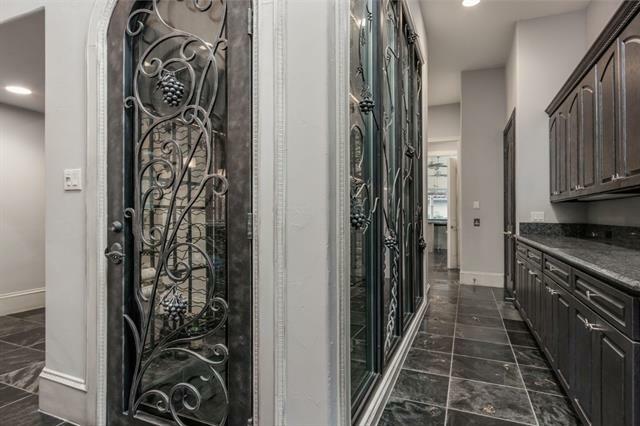 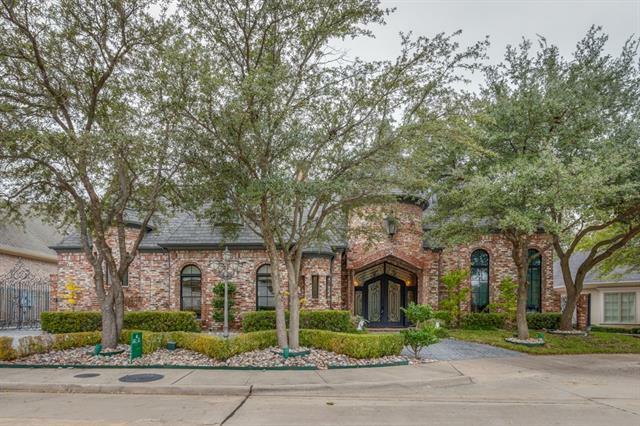 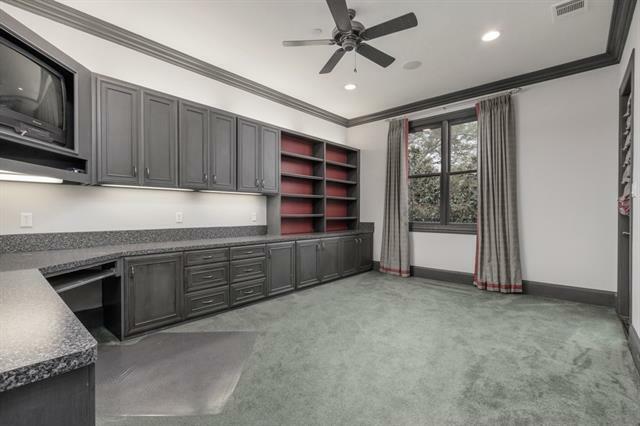 Stunning custom-built home in exclusive GATED AND GUARDED community in Estates of Lake Forest is the epitome of Dallas-style luxury combined with comfort. 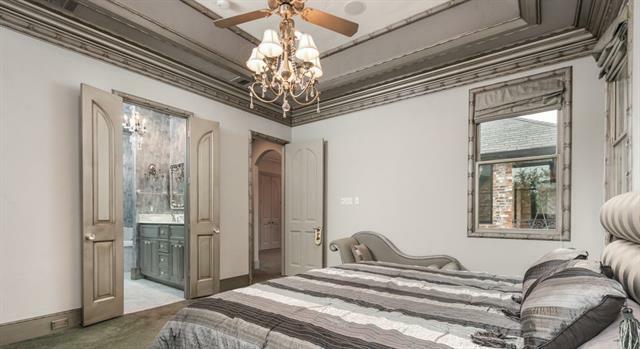 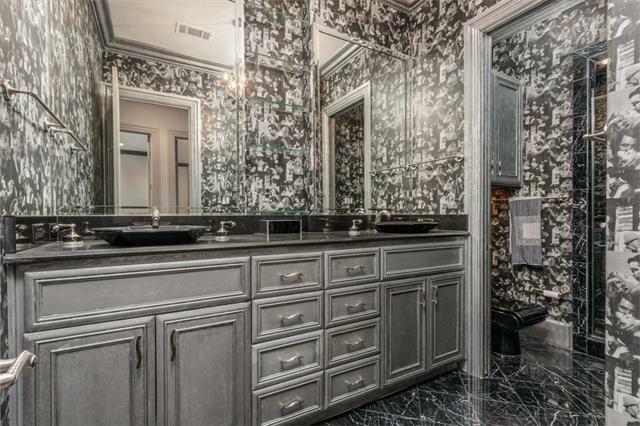 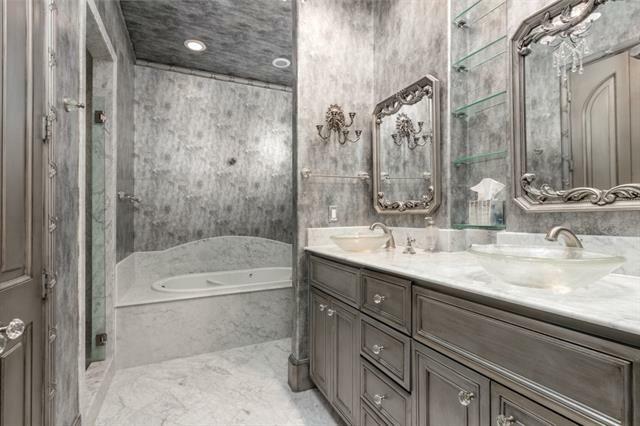 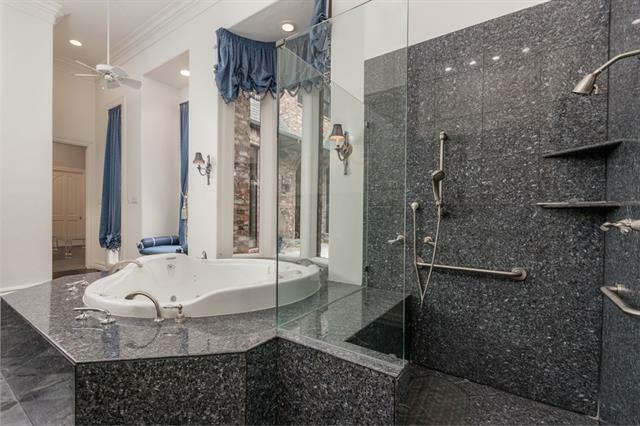 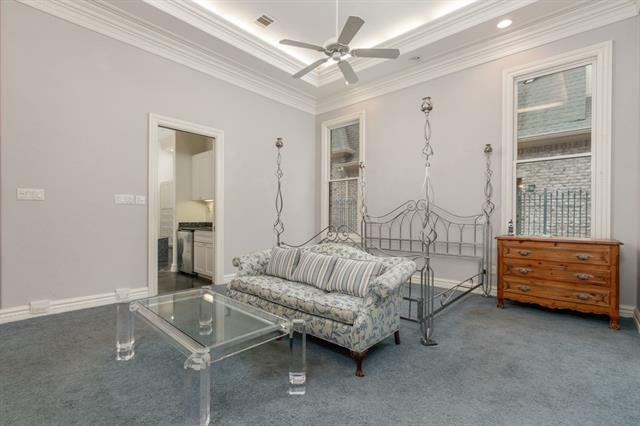 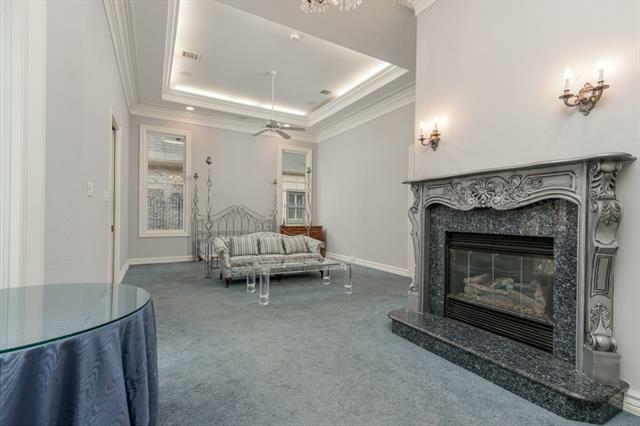 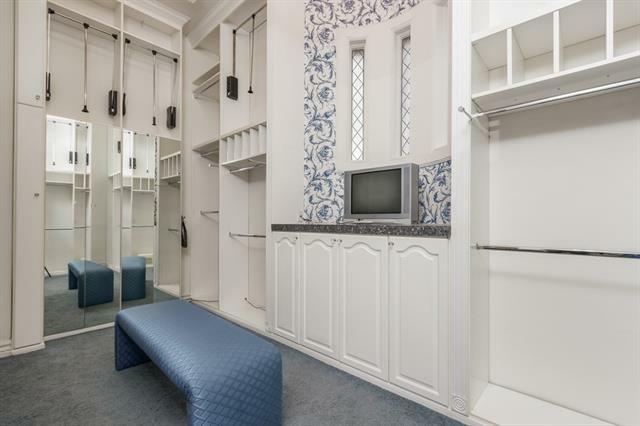 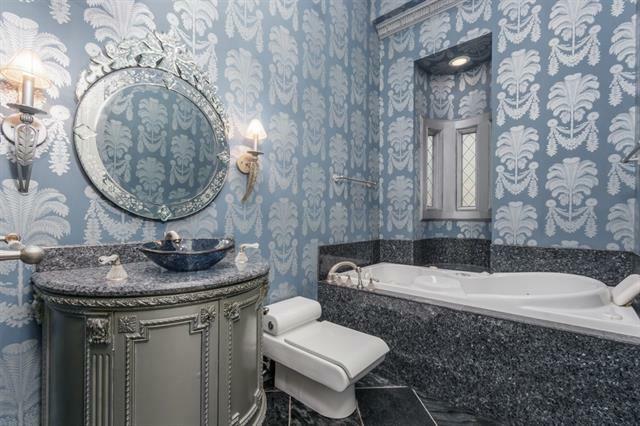 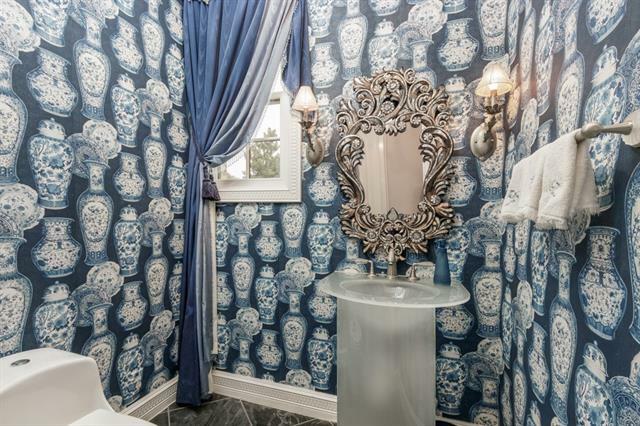 Magnificent chandeliers, mirrors and plumbing fixtures. 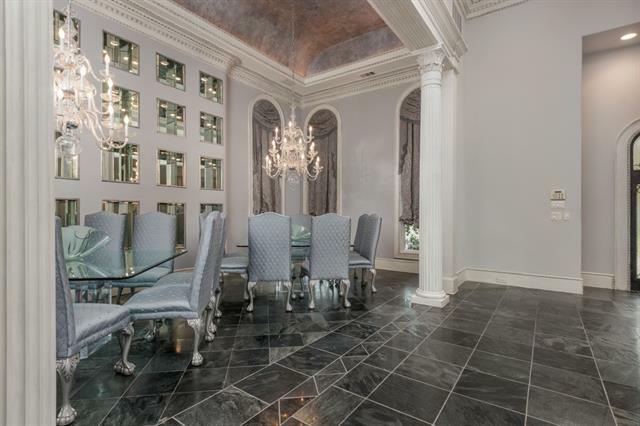 Lighting designed to compliment the architectural beauty of this home. 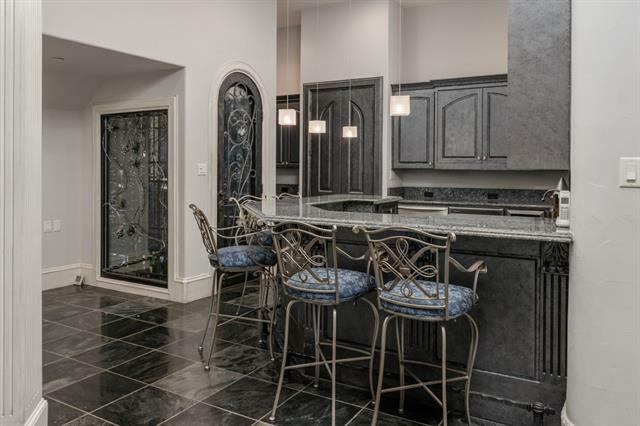 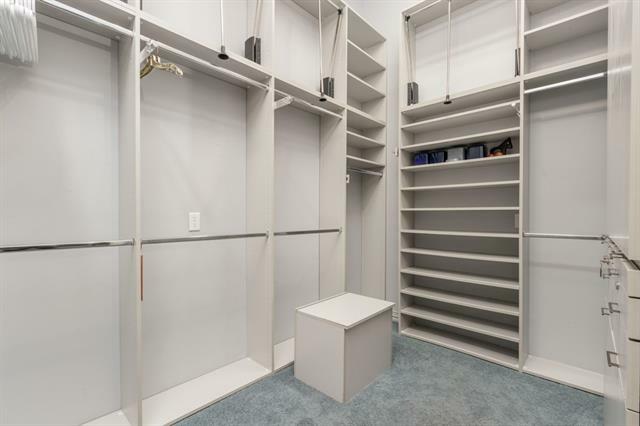 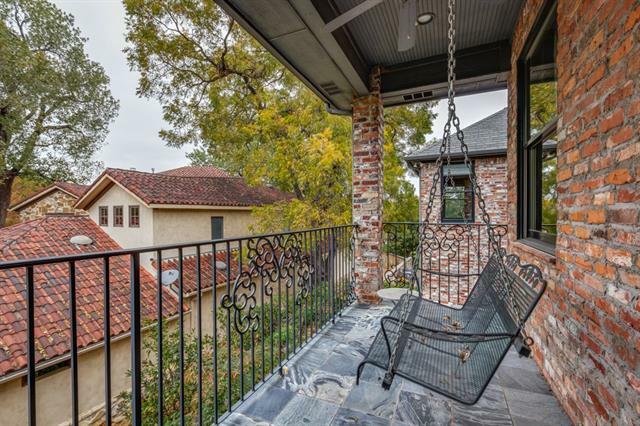 There are so many beautiful custom features and amenities in this home it is difficult to list them all. 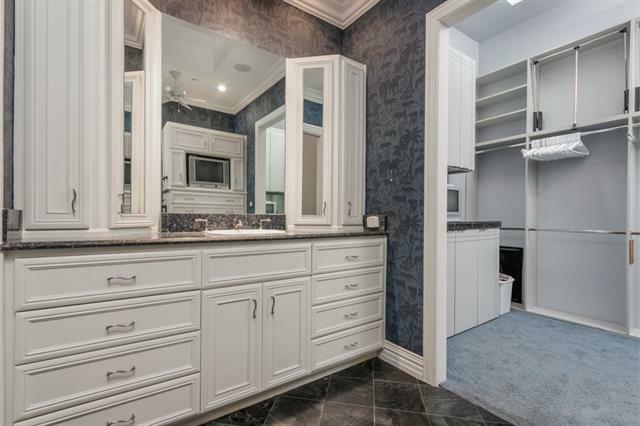 You must see it for yourself. 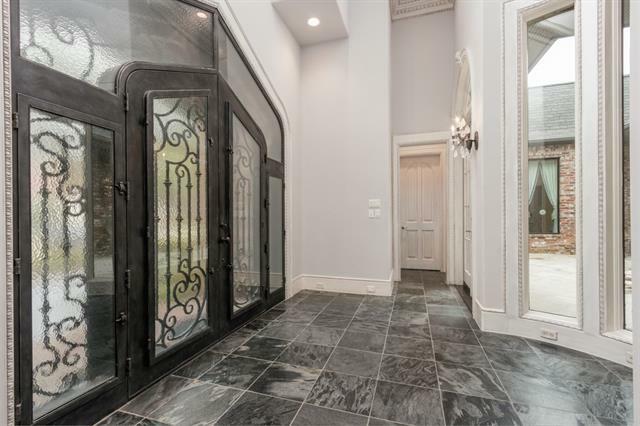 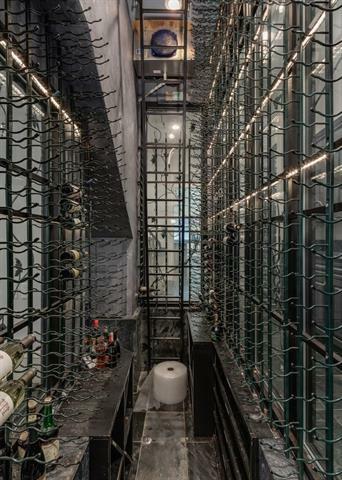 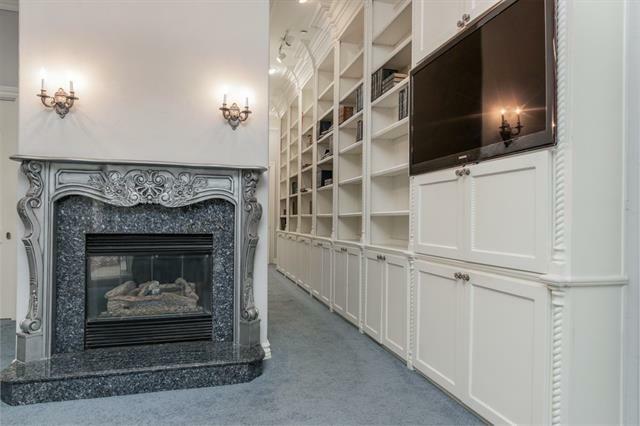 From the marble-floored temp controlled wine cellar to the hand-carved exquisite moldings, double sauna in the master bath, built-ins. 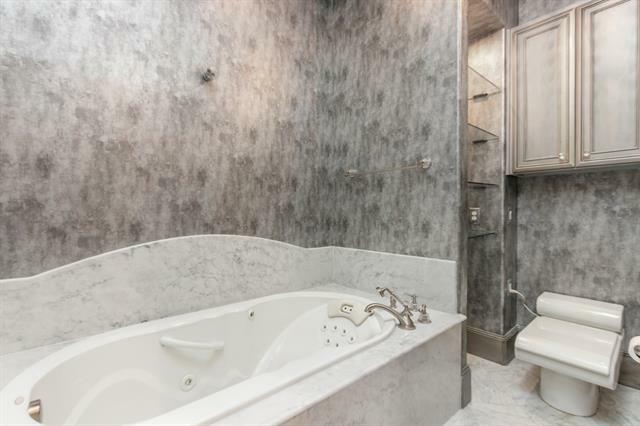 Every single one of the 4 full baths has a jetted spa tub and over-sized shower. 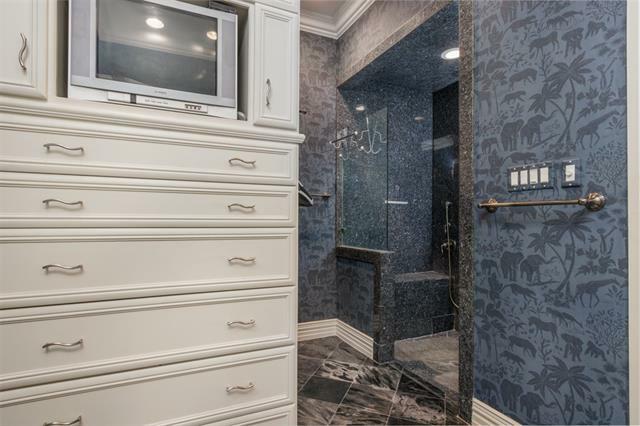 All bedrooms have en-suite bathrooms. 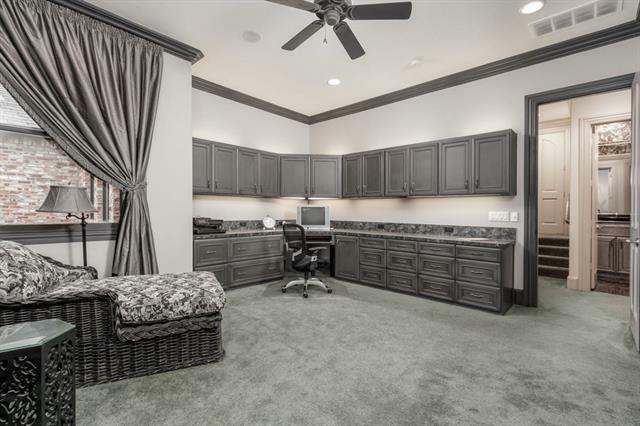 Stunning view of private lake from the upstairs.